Infinity Ward has updated the names of the playlists and game modes within Call of Duty: Ghosts as a April Fool’s joke. 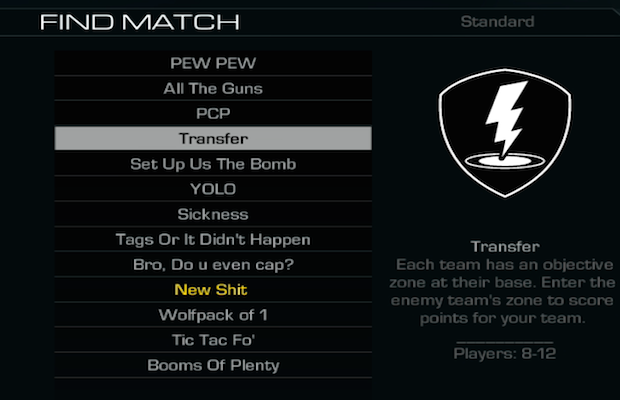 If you go on to Ghosts now, you can see some of the interesting names that they have decided to put for the modes. The playlists names will change back after tomorrow.